"iDVD no longer comes with the MacBook Pro. What is the best alternative to iDVD for burning DVD on Mac?" "Hi there, Is there an alternative to iDVD. I have a brand new iMac with El Capitan 10.11.1. Anyone suggest me the best iDVD alternative to burn movies to DVD on Mac? Thanks in advance." No iDVD on your new Mac? iDVD missing after upgraded to Lion? Yes, iDVD is forever gone with Lion and Mountain Lion. You will never find it preinstalled on your new Mac unless you purchase and download it from iLife suite. So if you’re now looking for an iDVD alternative to burn DVD on Mac, you may need to find some iDVD alternatives. This guide would share some effective alternatives to iDVD so as to help you burn DVD without iDVD on Mac. Mac users are all suggested to use iDVD burn DVD on Mac computer once iDVD is preinstalled. iDVD has without doubt been the best and most efficient solution to burn DVD on Mac. 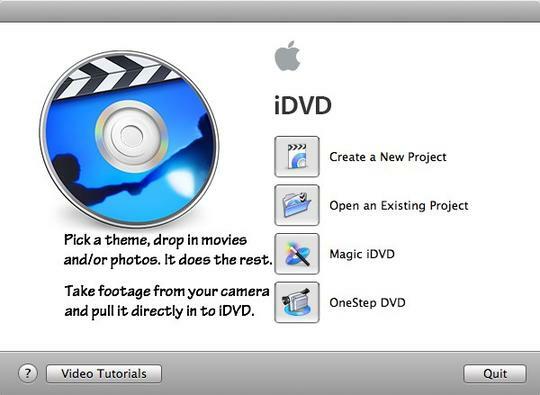 The below guide would show you how to DVD with iDVD on Mac. 2. Go to "File / One Step DVD from movie…" from the menu bar. 3. Navigate to the movie file you want to burn to DVD with iDVD and check it for loading. 4. Insert a blank writable DVD disc (DVD-R or DVD-RW recommended) into your SuperDrive, and iDVD would start to burn your movie to DVD on Mac soon. 5. When the DVD pops out, insert it into the regular DVD player connected to your TV and enjoy. While initially available only for Macs with a SuperDrive, it was included until 2011 with all new Macs; from iDVD 6 onwards, Apple supports the ability to burn projects with third-party optical drives. iDVD was no longer preinstalled on Macs shipping with OS X 10.7 Lion, and was not available on the Mac App Store with all of the other iLife apps. It was, however, still available in the boxed copy of iLife ’11 until iLife ’13. Therefore, if you don’t want to purchase the iLife 11 or later versions, you have to find an alternative to iDVD to help you burn DVD without iDVD on Mac. Getting an alternative to iDVD seems to be an ergent for Mac users who would like to burn DVD without iDVD on Mac. The problem now turns to be how to choose iDVD alternatives, or how to decide which one is the best iDVD alternative software to burn DVD without iDVD on Mac. There may exist different standards for people to decide which iDVD alternative for Mac should be chosen. By taking comparison between iDVD and various DVD creator software for Mac, we have filtered severa important elements for you to select a right iDVD alternative. 3. 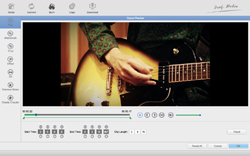 Video Editor for Touching up. 4. Burn Different DVD Files. As is known to all, iDVD only supports QuickTime compatible video and image formats. This makes many people upset when they want to burn videos in AVI, MKV, WMV, MPG, ASF, etc. via iDVD. Therefore, a good iDVD alternative should be friendly with different video files, no matter it’s home camcorder video, downloaded video or other video file. Disc menu plays important role for people to easily decide which to play. A wonderful iDVD alternative should come with different preset disc menu templates for users to choose from, and if possible an internal disc menu editor to let users freely edit and customize disc menu with personal preferrences. An ideal iDVD alternative should also come with a built-in editor that allows users to touch up souce videos to get the best display effects. Multiple video editing features should be included, like: trim, crop, rotate, add watermarks and adjust video effects, etc. As the best iDVD alternative, the program should burn videos to DVD disc or convert videos to DVD folder or ISO Image file. Similar to iDVD, it should also support a wide variety of disc types like DVD-R, DVD+R, DVD-RW, DVD+RW, DVD-5, DVD-9, etc. Of course, these 4 standards are only based upon the features of iDVD alternative, which are far more from enough to determine an iDVD alternative. There are also multiple other elements that may help, including: program stability, video to DVD burning speed, quality of burned DVD, ease of use, price/cost, ISO image burner ability, subtitle and audio track selection permission, etc. You could refer to these features to determine which iDVD alternative you should turn to. To make it easier for you to know what iDVD alternatives you could get and what are the best iDVD alternatives, we have made a selection upon iDVD alternatives for Mac below. You could check the below content to learn more. 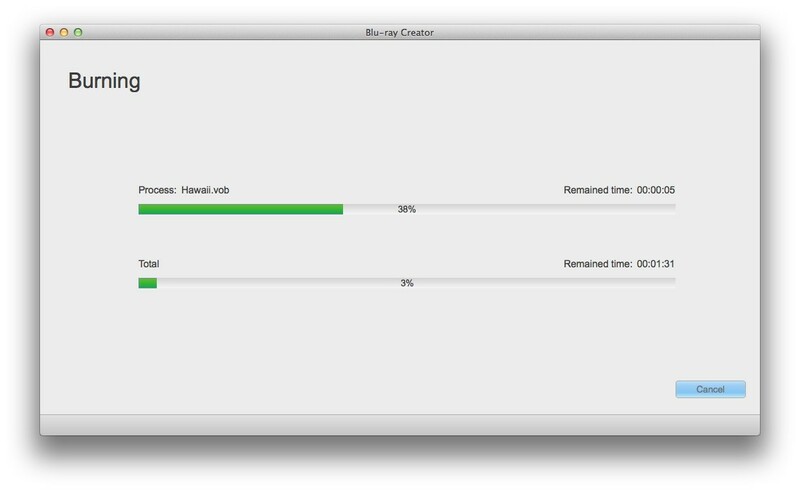 Leawo DVD Creator for Mac is the best Mac DVD burning software for Mac users to create DVD content on Mac easily. It enables you to burn video to DVD disc, folder and/or ISO file on Mac conveniently in either DVD-5 or DVD-9 format according to your demand. Meanwhile, it also offers one click operation to burn ISO file to DVD disc on Mac computer. What’s more, the built-in photo slideshow burner could directly burn photos to DVD photo slideshow on Mac. To get a DVD file with personal patent, Leawo DVD Creator offers several interesting bonus features: the internal 2D to 3D converter helps create 3D movies, built-in video editor allows editing videos, while the disc menu designer enables designing disc menu upon preset disc menu templates. Burn is a free iDVD equivalent for Mac OS X. With its simple interface, you can creator audio, video, pictures to disc and it is also capable of coping data and audio discs. Roxio Toast is complete digital media toolkit for Mac OS X. New features of Roxio Toast includes to capture, edit, and enhance audio with Toast Audio Assistant. Advanced DVD authoring capability with Toast MyDVD. Create DVD movies with titles, menus and chapters. Cops CDs and DVDs, burn data and music. Record your screen and add voiceover. Convert video for iPad, iPhone, Apple TV and other devices. It also supports iPhone 6 and Samsung Galaxy S6. Leawo DVD Burner Mac, the best iDVD alternative, helps you burn DVD without iDVD on Mac with ease. It now only could burn QuickTime MOV to DVD, but also burn DVD from MP4, AVI, MPEG, AVCHD, FLV, M4V, F4V, etc. It offers multiple useful and user-friendly features like internal video editor, 2D to 3D converter, disc menu editor, etc. ☉ Burn video to DVD disc, folder and/or ISO file on Mac. ☉ Edit video files via video editor and add 3D effect. ☉ Add and design disc menu to get customized DVD. ☉ Burn ISO file to DVD disc on Mac in one click. To make use of this iDVD alternative, download and install it on your computer via the abovementioned links. 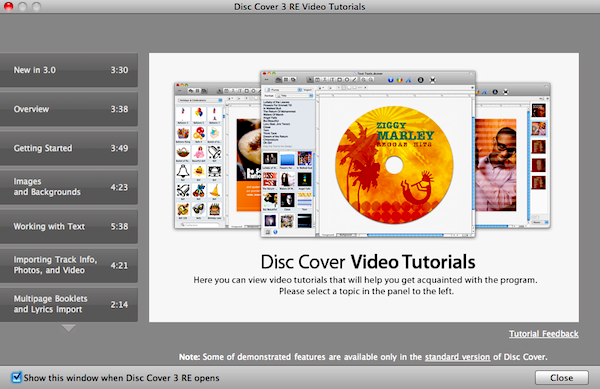 Then, follow the below steps to learn how to burn DVD with iDVD alternative – Leawo DVD Creator for Mac. It also has a Windows version. You could choose the one that meets your computer system. Simply click "Add" icon or directly drag and drop source video files into this iDVD alternative. If you want to burn video to DVD disc with this iDVD alternative, you need to insert a blank writable DVD disc into the disc recorder drive. After importing videos, set output disc type ( DVD-5 or DVD-9), set aspect ratio and output quality at the bottom. Click "Edit" option on desired video title to enter the video editing panel, where you can crop the frame size, trim video length, append effects, add picture or text watermark, and rotate video angle. If you have no editing needs, just skip this step. On the right sidebar, you could select a disc menu for output DVD content. There are various themes of disc menu. Click the middle of selected disc menu to get instant preview. What’s more, you could edit your DVD menu like adding background picture and music, choosing desired buttons and frames, etc. by clicking the pencil-shaped icon on the preview panel. As to the disc menu editing panel, you could add background music/video/image, change title position and content, adjust text font, size, color, etc. You could save edited disc menu template for future use. After setting disc menu, return to the main interface and click the big green "Burn" button to call out the burning settings panel, where you need to do burning settings like burn video to DVD disc, ISO file or/and folder, input volume label, set saving destination for output files. If you only need to burn DVD disc on Mac, insert a blank writable DVD disc into the disc recorder drive and then select DVD disc recorder drive as output under the "Burn to" option. With this iDVD alternative, you could burn video to DVD disc, folder and/or ISO image file at the same time. Make sure your computer hard drive gets enough storage if you want to create DVD folder or ISO image file. Finally, click the "Burn" button to start burning DVD without iDVD. You could then view the whole DVD burning progress on the burning interface. After burning, you could view burned DVD content on your DVD player or otherwhere.